I wanted to say a grateful, heartfelt thank you to everyone who has bought my book this year. It’s been doing really well. Thank you! It’s broken the Top 100 books on Amazon.co.uk. While the Visual Miscellaneum has cracked the top 2,000 on Amazon.com. Thank you! For something that took nearly three years of my life to write, research, design and promote, it’s immensely gratifying that it’s resonated with so many people. Thank you! 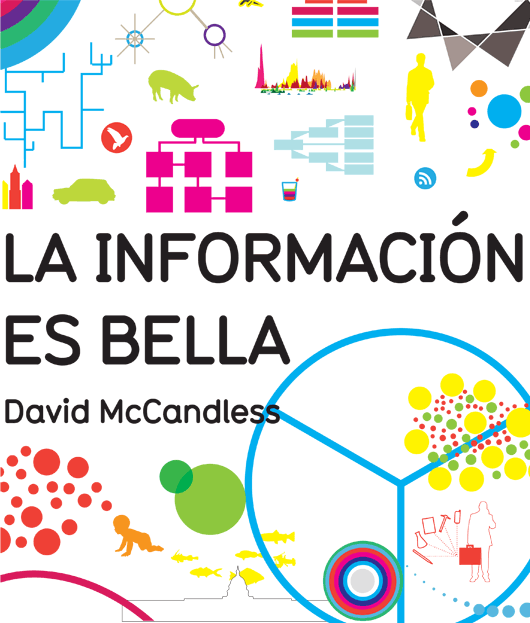 Thanks to this amazing response, Information Is Beautiful is now out / due out in ten countries. They include Finland, Hungary, Holland, Spain, South Korea, Brazil and China. I didn’t think such an image-dense book could be translated. But these amazing publishers have proven me wrong. 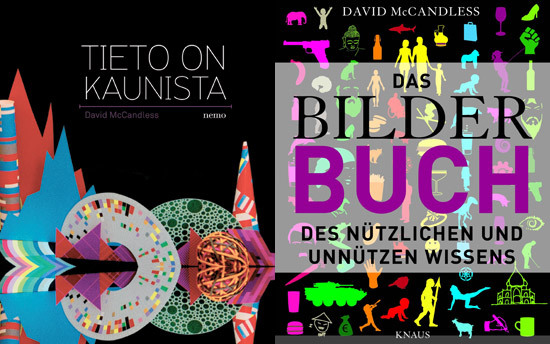 Just check out awesome covers from Finland and Germany! Glad they didn’t go through the torturous 90 version process we did to get the UK cover right.